Welcome to the Ohio Foreclosure Help page. On this page, you will find direct access to foreclosure defense attorneys and non-profit organizations offering foreclosure prevention services. You will also find general information about the Ohio Foreclosure Process. 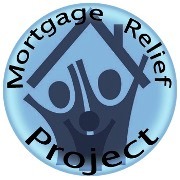 If you need help with a troubled mortgage or foreclosure, this is a great place to find it. Having difficulties paying your mortgage? Call the Save the Dream Ohio Hotline at 888-404-4674. Save the Dream Ohio will connect you with resources in your area who can offer you counseling assistance during this difficult time. Homeowners may check the status of a previously submitted application by visiting http://www.savethedream.ohio.gov/ or calling 888-404-4674. A: 83328 21403 Chagrin Blvd. A: 82001 3659 Soldano Blvd. A: 84527 527 E. Home Rd. Web: www.mustardseedcdc.com 1357 Home Ave. Web: www.lifespanohio.org 800 Bank St. Web: www.wincincy.org 1814 Dreman Ave. Web: www.fhrc.org 1100 Mentor Ave. Web: www.ndsohio.org 120 E.Main St. Web: www.graceworks.org 27 N. Wittenberg Ave. Web: www.toledofhc.org 432 N. Superior St. Web: www.jvcai.org 118 S. New York Ave. Web: www.compassfamily.org 535 Marmion Ave.
For the most current list of HUD Approved Foreclosure Avoidance Counseling Agencies in Ohio, please visit the HUD website.